Maybe, just maybe, we are done with Winter around here. It has been difficult do get in the swimsuit mode with snow still lying on the ground. We are done with that now and it appears the weather is going to stay warm. 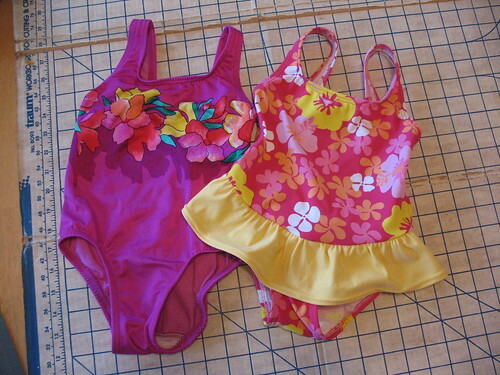 I spent a day or two sewing swimsuits this week. My 2 youngest were invited to our 5 yr. old friend's b-day party. Whipped up some pink/purple suits for her. Should make the princess loving Miss F. happy. Cut a 3" wide piece for the yellow attached skirt and then hemmed it with a double needle. Hubby's youngest sister is having her first baby later in the summer--a girl. They live in Texas, so of course they are going to need some swimsuits for her. One of these for my SIL and the other for my friend's baby shower. Black skirt was about 2 1/2" cut strip--then hemmed it with a double needle. 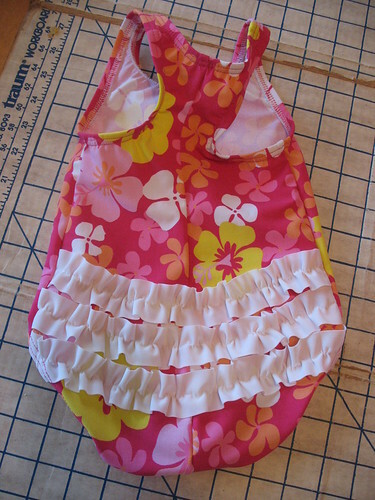 Cut a 1 1/4" strip for the neck ruffle. 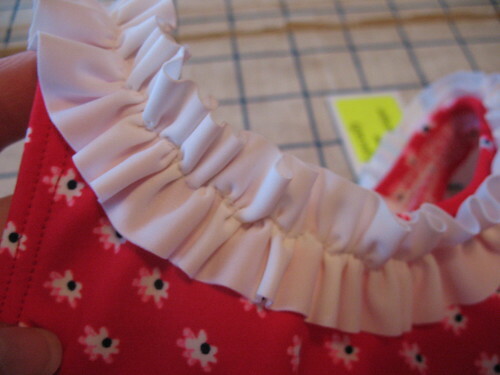 I like to have the ruffle almost double the length that you are attaching it to--makes it nice and full. I attach it with a multi-step zigzag stitch. This allows it to stretch with the suit and not pop some seams. Front above and back below. We love the little ruffle bums. These were more like 1 1/2 the length of the bum. 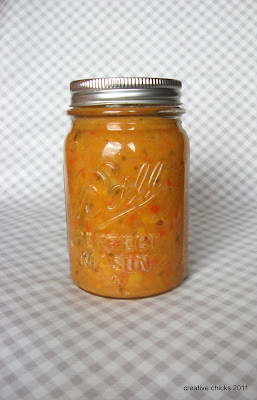 I wanted it fuller, but it still works. Those little ruffle embellishments just change the look of the suit so much. I'll be back on Monday with a Prom dress update. They were sewing yesterday, will do some today, and again tomorrow. We are down to 1 week and they have to get it done. Those are some of the cutest baby suits I have ever seen. Anyone would love to get them. Good job! Those adorable. 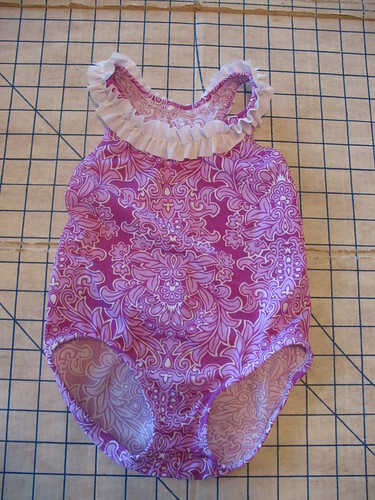 I've never made a swimsuit but now I really want to for my 2 year old girl. Those are super cute!! My girls still have 4 that fit (each) so I am putting sewing on hold for this season. Maybe. Hahaha. Those are some SUPER cute fabrics--all from the local shop?? Or did you get any online? These are really cute! 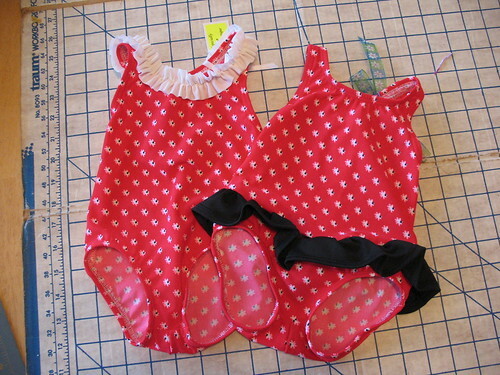 I lost my baby girls and refuse to get fabric since i have way too many suits i have "out grown" so i am going to refashion one for her. I needed the information on how much to use on ruffling so thank you! Are your patterns self drafted? Im about to look around your blog... Thanks for the tips. And your daughter and her bff dresses were beautiful. Hope they had fun! Also, sorry about your sons arm but good thing you guys found out what you did!! wow these look so professional. 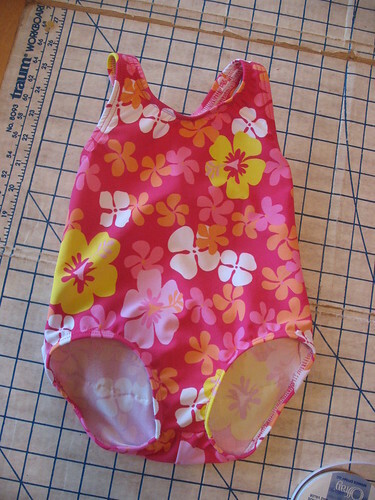 I'd love to make one for my daughter, girls swimsuits seem to be so inappropriate, and I had such a hard time finding one for her this year. PBJ Wedding Weekend in NE.